In the women’s final, the Williams sisters met for the 28th time, the first in a major since the 2015 U.S. Open, the ninth in a major final overall and the first in a major final since Wimbledon in 2009. Serena, 35, was coming off what would be a stellar year for anyone not named Serena Williams in which she reached three Grand Slam finals, winning one, and a semifinal. Her 2016, of course, paled in comparison with her dimension-shattering 2015, but then, you only turn 34 once. 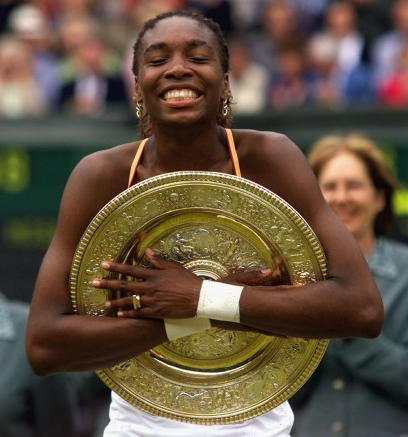 Serena was the first of the two to win a major, the 1999 U.S. Open, but Venus was more dominant early on, as older siblings can be: she had four major titles to Serena’s one by the end of 2001, only for Serena to match that mark over the following twelve months and surpass it in thirteen. Since the 2001 U.S. Open, Venus has won only three more majors, all at Wimbledon, the last coming in 2008. When Angelique Kerber, Simona Halep, Agenieszka Radwanska and Karolina Pliskova were all upset by the quarterfinals, without either sister having to face them, it set the stage for a seemingly inevitable all-Williams final. In facing Serena at 36, Venus must have felt particularly caught up in the moment. After all, the elder sister hadn’t been to a major final since that Wimbledon eight years ago, and hadn’t been to an Australian final in fourteen(!) years. Yet, in Serena lies the air of familiarity: of the fifteen Slam finals Venus has contested, nine of them, including the past three, have been against Serena. Where Venus had been arguably at her best throughout the tournament was in her serve – which is precisely where Serena attacked her kin. Serena hit seven return winners to Venus’ zero while also besting her sister in return points and return points won. The final itself was, admittedly, a bit more of a lively affair than many expected. Though Serena closed Venus out 6-4, 6-4, Venus played some exceptional tennis, using her lithe form to reach otherwise-unhittable returns and smashing the occasional throwback serve in her sister’s direction. Coming off her best summer of tennis in years, Venus remains dangerous, remains formidable, remains able, remains open. But Serena – it can end up that the youngest is the strongest. 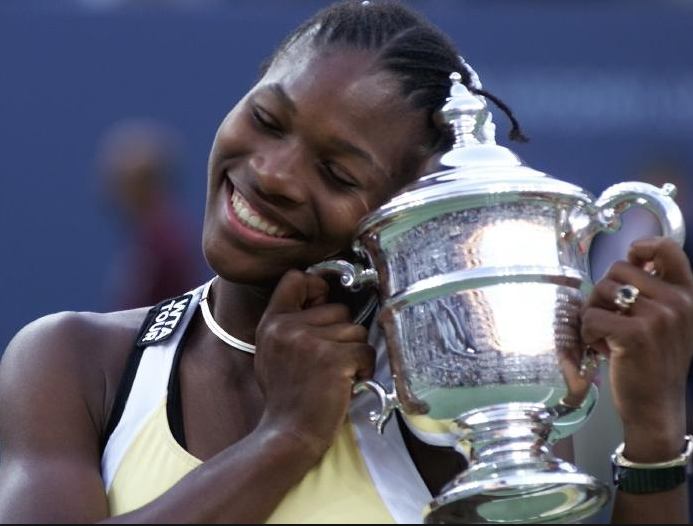 With her victory over Venus, Serena won her 23rd major title, breaking her tie with Steffi Graf for most Grand Slam singles titles in the Open Era. She is, by all reasonable and objective measures, the greatest tennis player ever, regardless of your preferred filtering devices. At 35, her window for victory appears as wide open as ever. Nevermind victory: at 34, Roger Federer’s window for any competitive tennis whatsoever appeared closed. Having last won a title in 2012 at Wimbledon, Federer had spent the past five years mostly proving to anyone watching that he could ably dance his way through tournaments and, occasionally, into major finals on an increasing (steady?) amount of cunning to complement his declining degree of athleticism. In the Djokovic period of men’s singles tennis, everybody is encouraged to simply do his best. Like Federer at Wimbledon before him – you remember, a decade ago, just before he passed Pete Sampras to become the winningest man at majors in the Open era – Djokovic owns Melbourne, having won six of his twelve Grand Slam titles there, including five of the previous six. The Serbian sometime-herbivore is coming off a Serena-esque run of year; in 2015, he claimed three majors, while in 2016, he captured the first two. A year ago, even six months ago, Djokovic was the clear-cut best male tennis player on the planet, but then, everything appeared clear-cut six months ago. Federer, meanwhile, was coming into this tournament, some said too soon, following an absence to recover from injury. 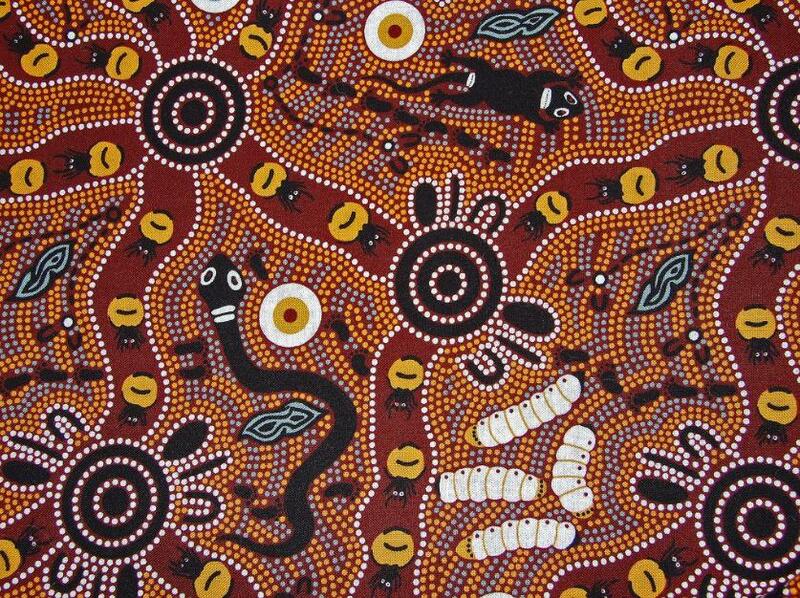 An Instagram feed full of caves and paragliding spoke to a man who had achieved peace with himself and his pristine place in the world; even if this was to finally be the reckless, unheeding end, it would be on his humble yet firm terms, adorned in fashionable threads and sponsored by the likes of Nike and Rolex. A patently absurd second round exit at the hands of the world’s highest-ranked Uzbek male tennis player, Denis Istomin, opened the door for what followed; that top-ranked Andy Murray fell to himself yet again, via the proxy Mischa Zverev, solidified the wildest dreams of both die-hard tennis fans and casual onlookers. Federer ended up eliminating Zverev himself in the quarterfinals, strolling past him 6-1, 7-5, 6-2. Though eternal foil Rafa Nadal would have a tough time with Grigor Dimitrov in the semis, engaging with the Bulgarian for the full five sets, Nadal’s trip to a first final in three years was relaxed by comparison. What stood in the way of a dream, throwback men’s final was none other than Stanislas Wawrinka, Federer’s semifinal opponent. Wawrinka has become the problem with the “Big Four” era of men’s tennis. 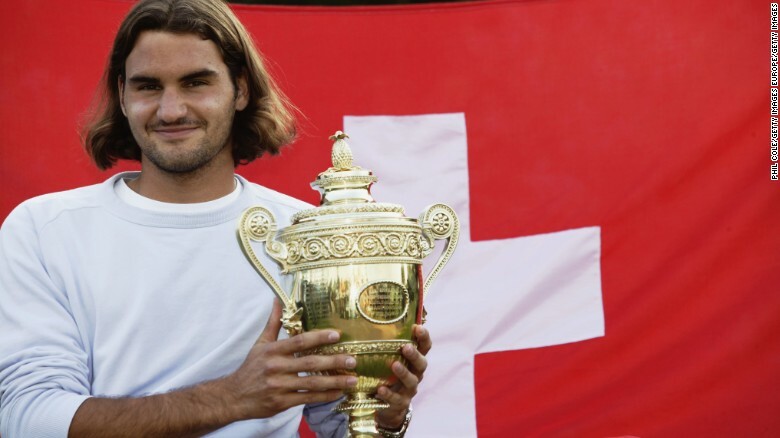 Following his captivating win at the 2016 U.S. Open in September, the Swiss has as many Slam titles as Andy Murray and is routinely a stumbling block to any of the rest. In the aforementioned 2014 Australian Open, he beat Djokovic on his way to defeating Nadal, and both of his other two championships were relatively straight four-set victories in finals over the Serbian. As a late bloomer, Wawrinka fails to get credit for his unique skillset, capped off with a backhand that, when it works, is as good as any shot on tour. Four years his junior, Wawrinka has struggled against Federer, his erstwhile Olympic doubles partner. In fact, Wawrinka owns only three victories out of the 22 matches he’s played against Fed; after going down two sets to him in the semi, and smashing another racquet, it seemed this would be another straightforward loss. Wawrinka battled back to tie it at two sets apiece, however, and it took a mammoth effort following a rare medical timeout for Federer to win, in the process setting up the all-Benjamin Button Final. After falling to Federer yet again, even Wawrinka was able to laugh at himself, firing off a self-deprecating tweet chock full of what I would guess is the spring collection of his favorite emojis before pulling up a chair with the rest of the tennis-watching world for what was certain to be a classic. Adorned in predominantly white tops with darker trim and matching Nike headbands, Nadal and Federer sashayed onto the court at Rod Laver Arena looking more like funhouse mirror images of one another than perpetual rivals. Lest we forget that, once upon a time, Fed sported a Nadal-like mane of shoulder-length hair, though now, Nadal himself has a more modest follicle arrangement. The rivals traded the first two sets, each coming out a bit timid – perhaps conservative is the word, lest we apply it too liberally here, but it seemed more rust-shaking than mind-gaming. In the third, Federer slapped three aces in a row when Nadal pushed to break his serve, ultimately holding before breaking Nadal’s in the following game. Federer held, despite a backhand which betrayed him at first (but ended up making the difference), and though Nadal pushed to hold serve, getting to 1-3 after saving three break points of his own, he soon grew visibly frustrated, more or less conceding the set 1-6 in an effort to conserve energy. Gone were the cannonading serves, reverberating to New Zealand; gone, too, were the SABRs, a tactic Fed has utilized at times to jump an attack on net while returning a serve. No, this final was as mano a mano as any of the classics, even with the constant reminders that this was not the Fedal of old. Nadal returned in a fury in the fourth set. After Federer botched a routine forehand, something that looked like LeBron missing a dunk after getting the ball halfway down the bucket, Nadal knew to pounce. Better than anybody, Rafa can sense a lack of focus on Federer’s part in the rare moments when it happens, and better than anybody, he knows not to let those moments go by without a nudge. After Federer hit a crosscourt backhand that everyone, himself included, expected to be a winner, Nadal unleashed the shot of the match with a stunning forehand at full stretch that even his rival applauded upon seeing the replay. The Spaniard closed out the fourth 6-3, forcing the issue with momentum firmly on his side. The 35-year-old Federer took another medical timeout in between the fourth and fifth sets, treating the aches and pains which had bothered him over the previous week. Including the final, three of the last four matches Federer played in Melbourne went five sets, all of them after he had held a 2-1 lead before losing the fourth. Patient, though appearing restless, Nadal came out undeterred, winning the first two points before taking a 3-1 lead in the set. Federer appeared finished. If 2016 was any indication, we all knew where that 3-1 lead was going, no matter in which direction the toilet flushed. Federer battled back to tie the set at 3-3 by breaking Nadal’s serve when the latter curled a forehand wide. The Swiss manned the baseline, drawing Nadal to the net and attacking with an aggressive combination of skill and savvy to compensate for his physical shortcomings. The crowd sensed the moment when Federer served for the match at 5-3; Nadal, too, could sense his moment having slipped. Though he fought admirably, the match was decided on a not-particularly-close challenge ruled in Federer’s favor. Instantly forgetting his thigh problems, Federer jumped ecstatically, tears beginning to rush down his face. In majors past, Federer, cognizant of his role in vanquishing the field without much remorse, took on a distinctly “Who, me?” attitude toward his dominating performances, as if he had happened into an unprecedented skill set which he incidentally used to accidentally dismantle the very idea of what we thought the limits of tennis could be. That was not so at the Australian Open. Knowing how close he’d likely been to retiring, or at least to stopping at seventeen majors, Federer took every opportunity to relish this time. Although his opponent had faced similar injury turmoil and doubt on his path back to the precipice of preeminence, Rafael Nadal proved that he retains a place at the table among the best. 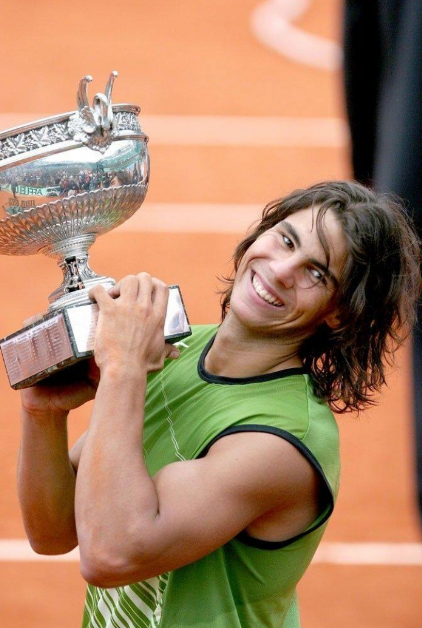 With his favorite major around the corner, it would surprise no one to see Rafa clutching a trophy at Roland Garros. But this moment belongs to Federer, the constant, the eternal, the ceaseless ray of sunlight shooting through the cracks of a desperate morrow. Even now, in 2017, nearly two decades after his professional career began, nothing seems out of reach for Roger Federer. Though that was within the context of Djokovic having elicited crowd support, something with which he’s always had a somewhat tenuous relationship, it nevertheless was my own death knell on Fed as a serious contender. The point being: never write off Roger Federer. Not as a tennis player, not as a cave diver, not as a watch enthusiast, not as a member of a makeshift Chicago cover band. A year later, he was sitting out that tournament; sixteen months later, he has won his eighteenth major title. Even if it ends up being his last – actually, forget that thought. Federer certainly seems to have. On the other hand, nobody has been guilty of closing the window on Serena’s career before she does. If anything, we expect too much, although we can be certain she expects even more from herself. Not that she has to prove anything to anyone, of course, least of all us, but to watch her continue to dominate through her mid-30s is an unparalleled joy for fans. This Australian Open, a tournament for the ages, no matter the age, was a reminder that, even as so much closes everywhere around us, what is open can remain long after we thought we missed it. Then again, according to whom, and by what standard? Certainly not any of them, nor any of theirs. If you want to invalidate claims of American exceptionalism, look no further than men’s tennis: the last two Americans, 23rd-ranked Jack Sock and 31st-ranked Sam Querrey, were both disposed of in the third round, continuing an unblemished run of mediocre American male play since Andy Roddick’s victory in Flushing Meadows in 2003.